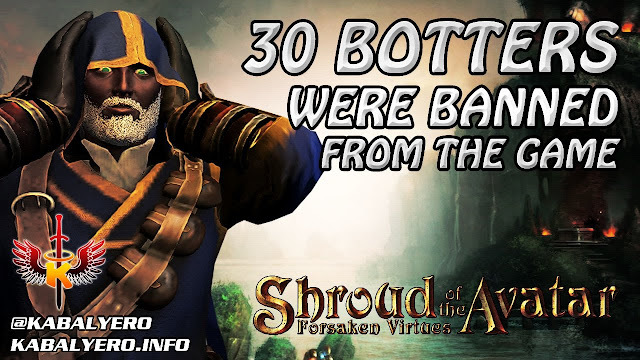 Botting is a big NO NO in any multiplayer online game and Shroud of the Avatar just gave 30 Avatars the boot and kicked them out of the game for botting. Seriously, if you are playing Avatar and you think you can get out with using a Shroud of the Avatar bot then you are gravely mistaken. LOL!